Serve these pastries warm or cooled plain, or topped with a dollop of whipped cream, ice cream or garnish with fresh berries. 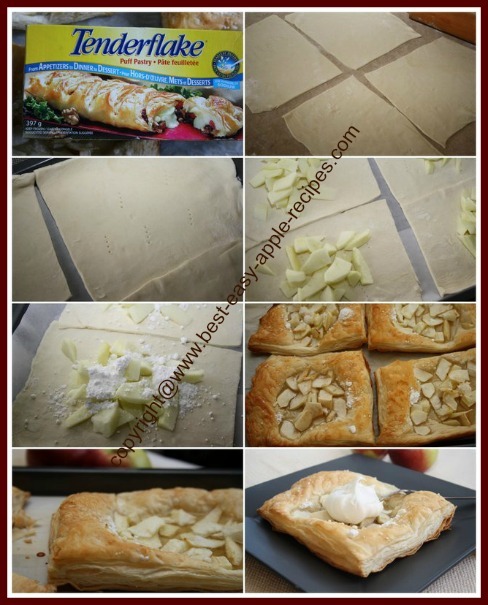 *This recipe provides directions for making 4 large tarts. You may choose to make 8 or 12 individual pastries instead. On a lightly floured surface, roll out the puff pastry into 4 equal squares, about 8". Use a fork to prick each square of dough a few times. 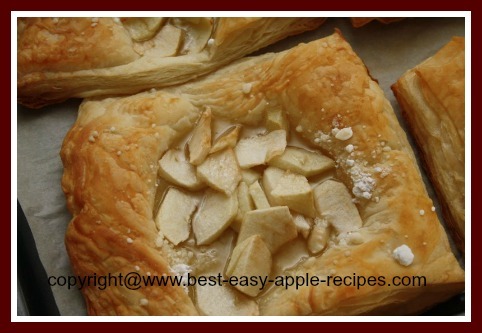 Arrange the prepared apples slices, slightly overlapping, on the dough, leaving the edges of dough exposed. Sprinkle each tart with the icing sugar and cornstarch mixture (divided between the number of tarts). Bake at 425° F for 12 minutes, then remove the pastries from the oven, and drizzle with the maple syrup (or honey or agave nectar), then return the tarts to the oven. Continue to bake for about 5 - 8 minutes, or until the pastry is golden and puffed up. Allow the pastries to cool for several minutes before serving because the filling will be very hot! 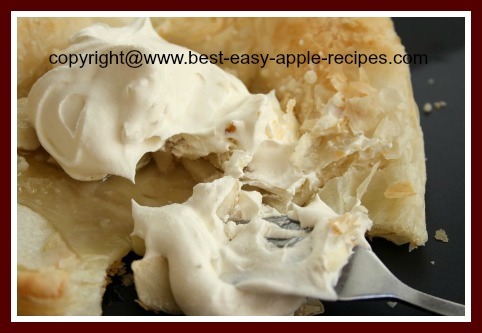 These apple treats taste great plain, or topped with whipped cream, whipped dessert topping, ice cream, or garnished with any fresh fruit that you may have on hand. 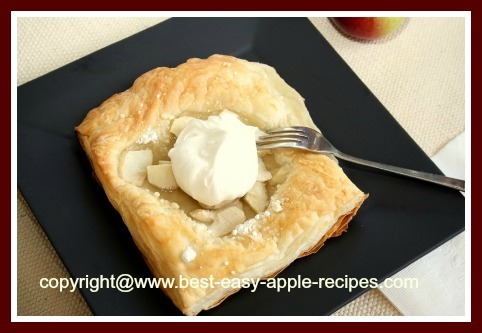 Make 4 large size apple puff pastry tarts.